MOSCOW, May 28. /TASS/. 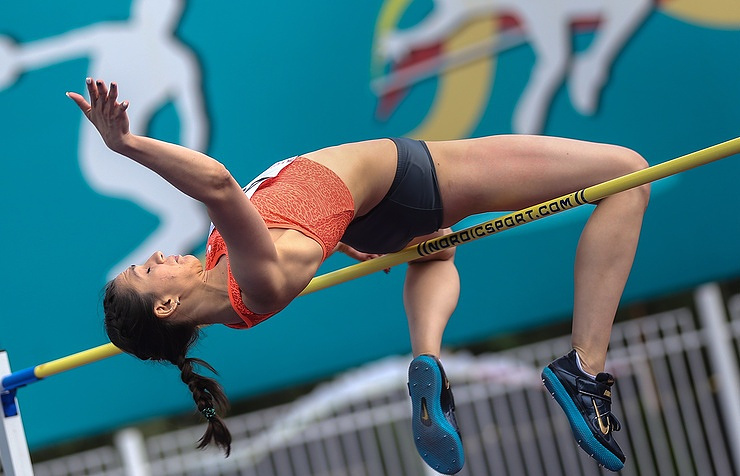 Competing under the neutral flag, Mariya Lasitskene (Kuchina) of Russia won the high jump during the Diamond League event in Eugene, United States. With a jump of 2.03 meters, Lasitskene showed the season’s best and repeated her personal best. Kamila Licwinko of Poland was second, followed by Vashti Cunningham of the United States. Lasitskene’s victory is the first for Russian track-and-field athletes at international competitions, following the suspension of the All-Russia Athletics Federation (ARAF) in November 2015. The International Association of Athletics Federations (IAAF) suspended the ARAF following an investigation carried out by the Independent Commission chaired by Canadian lawyer Richard Pound. The investigation was based on assertions related to an alleged state-sponsored doping system in Russia, made by Vitaly Stepanov and his wife Yulia. The IAAF has decided that until the membership of the ARAF is restored, Russian athletes could participate in tournaments as neutrals. More than ten Russian athletes, including Maria Kuchina, Sergey Shubenkov, Daniil Tsyplakov and Anzhelika Sidorova have been cleared to compete as neutrals. About 100 requests from Russian athletes are yet to be considered by IAAF. In order to restore the ARAF’s membership, the IAAF has set up a special working group headed by Rune Andersen.